The first couple roommates for Javier Lopez didn't work out. Then he moved in with Walter Roy, and another teammate. The group was rounded out by Roy's wife. The two were at rookie Pulaski that year and the move for Lopez forced the Puerto Rican-native out of his comfort zone, Lopez wrote years later in his book "Behind the Plate." "I had to learn English living with them," Lopez wrote. "Walter's wife was there, too. She was a very sweet lady, and she talked to me all the time, taught me a lot." Lopez went on from there to a major league career that spanned 15 seasons. Roy's career ended the next year at single-A Burlington. Roy's career began in 1989, signed by the Braves as an undrafted free agent out of Saginaw Valley State University and Mott Community College. At Pulaski, the pitcher Roy got into 14 games, starting two. He went 2-1, with a 2.12 ERA. He also struck out 23 in 29.2 innings and walked six. 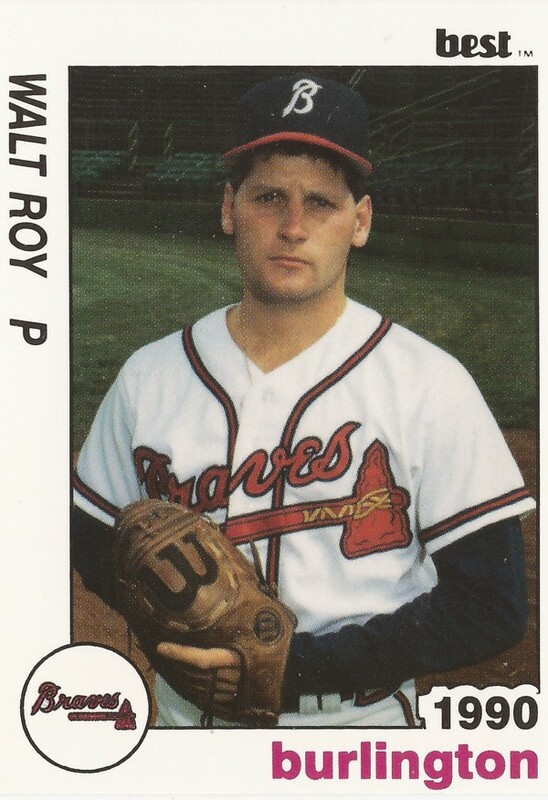 For 1990, Roy moved to single-A Burlington. In 34 relief outings, he picked up seven wins to no losses. He also saved 4 games and put up an ERA of 2.60. Despite the numbers, though, it was Roy's final season as a pro.